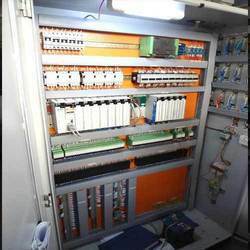 Temperature Control Panels for temperature control system offered by us have earned massive appreciation due to its premium quality as well as functioning. 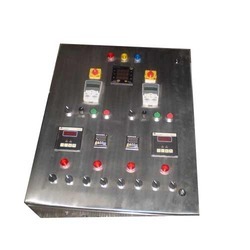 We hold expertise in providing these control panels as per the specifications put forth by the clients. We are looking for queries majorly From Ethiopia, Eritrea, Djibouti, Somalia, Egypt, Sudan, Madagascar, Mauritius, Comoros, Uganda, Rwanda, Burundi, Kenya, Tanzania, Zambia, Afghanistan, Turkey, Sudan, Iraq, Iran, Nigeria, Georgia, South Arabia, Germany, Poland and Greece etc. Our range of Process Indicators And Controllers provide absolute measures and are developed to monitor & control physical properties such as humidity, pressure, flow, temperature, speed etc. We manufacture a reliable range of Timer Counter Indicator that assure optimum performance. Our products are easy to install & maintain pertaining to their advanced configurations. 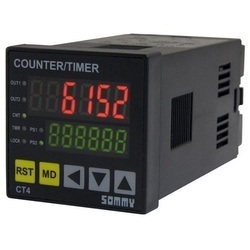 Our Timer Counter Indicator can be customized as per the specifications demanded by the clients. We are looking for queries majorly From Ethiopia, Eritrea, Djibouti, Somalia, Egypt, Sudan, Madagascar, Mauritius, Comoros, Uganda, Rwanda, Burundi, Kenya, Tanzania, Zambia, Afghanistan, Turkey, Sudan, Iraq, Iran, Nigeria, Georgia, South Arabia, Germany, Poland and Greece etc. 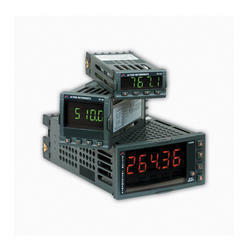 We provide a range of reliable Signal Conditioning Instruments that guarantee optimum output. Our high precision instruments offer signal conditioning modules so as to bridge gap between field sensors and control room. These serve to improve signal communication and hence increase plant performance. We are looking for queries majorly From Ethiopia, Eritrea, Djibouti, Somalia, Egypt, Sudan, Madagascar, Mauritius, Comoros, Uganda, Rwanda, Burundi, Kenya, Tanzania, Zambia, Afghanistan, Turkey, Sudan, Iraq, Iran, Nigeria, Georgia, South Arabia, Germany, Poland and Greece etc. We are offering complete solution for your automation need. Study of application, designing, procurement & manufacturing Control Panel.We provide erection & commissioning of the control panel at site. Special Food Grades panel for Food industry, Winery, Biochemical Industries etc. 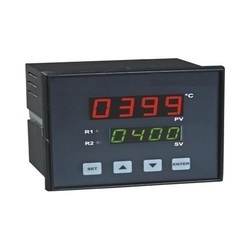 We are Manufacturer and Supplier of Universal Input Temperature Controller. 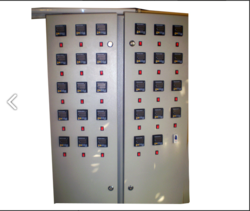 We manufacture and supply Relay Based Control Panel which is easy to install for valve operations that can be availed in various cover & door options. Our product has modular design that makes it preferable by the clients. This can be used for instrumentation, flow control, chemical feed applications as well as leak detection. It should be mounted in a convenient location and to a convenient source of power to get optimum output. Looking for Electronic Equipment ?